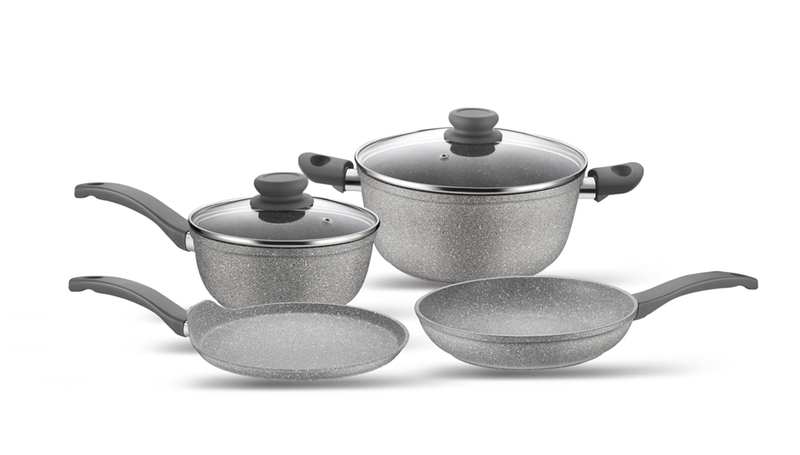 Product categories of Forged Aluminum Cookware, we are specialized manufacturers from China, Forged Aluminum Cookware, Forged Aluminum Ceramic Cookware suppliers/factory, wholesale high-quality products of Aluminum Forged Cookware Set R & D and manufacturing, we have the perfect after-sales service and technical support. Look forward to your cooperation! 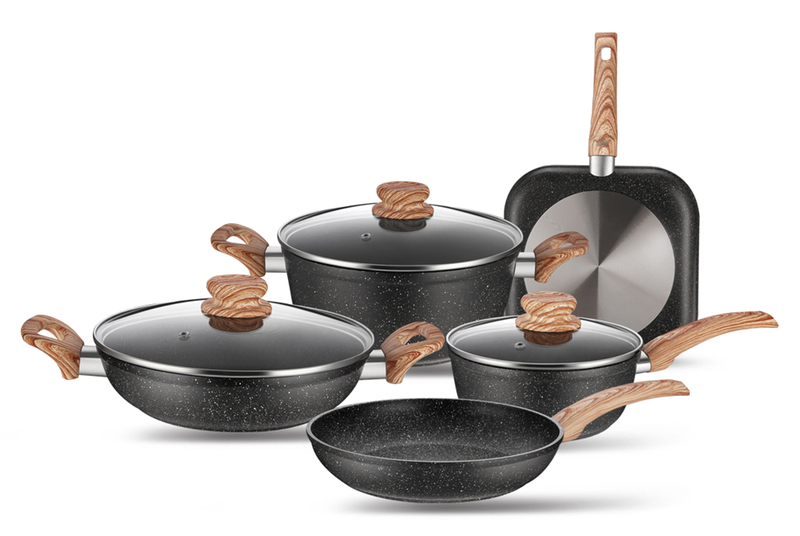 The shape of forged aluminum cookware is similar as Die-cast Cookware, but the price is cheaper than die-cast cookware. Forged Aluminum Cookware is thicker than Pressed Aluminum Cookware. 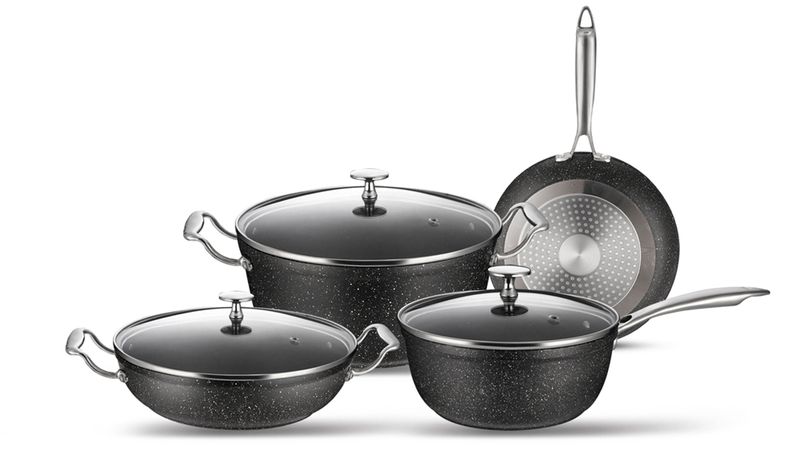 Thicker Aluminum Cookware gives better heat distribution and cooking performance. If you do not like thin cooking pot, and think the price of di-cast cookware is too high, then you can choose forged cookware.